In maths this week, we have been continuing our work with rounding. 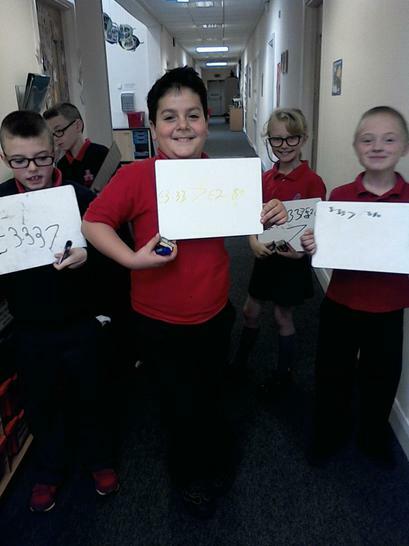 This week was different however, we moved onto rounding decimal numbers, to one and two decimal places! We compared decimal numbers putting them in order from smallest to biggest, which 5W found pretty simple, so then we moved onto comparing decimals and using those more than, less than and equal to signs. Again, the class showed that even this wasn't too hard for them, impressing the teachers. 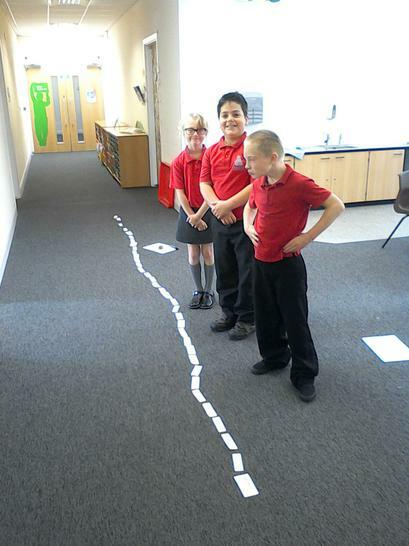 Some of our children even went on a maths money hunt around the upper phase to compare decimals and then made one big number line of all the numbers, putting them in order from smallest to biggest. Our class novel this half term is The Enchanted Wood by Enid Blyton and our work this week has been based around what we have read so far. This week we have written a piece of descriptive writing, describing the setting of the Enchanted Wood. We looked at adjectives at the start of the week, the children included words such as 'majestic', 'alluring' and even 'exquisite'. Wow! Super words indeed! Then we looked at similes, the children wrote some beautiful similes to describe the forest and amazed 5W teachers. These were then included in our description of the Enchanted Wood. WOW!!!! Just a few of the wonderful similes the children produced in the lesson. 5W have looked at woodlands, this week have moved onto looking at Wetlands. We looked at different types of wetlands and then discussed what type of animals, plants and other living things we might find in this habitat. We studied different types of living things that could live in the water, on the edge of the water and even up in the trees. The children designed their own wetland habitat complete with a variety of creatures (plants, animals and insects) that could live or be found in their wetland. A reminder that it isn't far off our trip to Martin Mere-14th October. We haven't yet had all the reply slips back in, it would be greatly appreciated if you could send them in as soon as possible please. If you need another slip, this can be provided by one of the year 5 teachers. We are all getting very excited about it now, the children cannot wait! The children have continued to observe the seeds that they planted last week, making notes of any changes that they can see. 5W have also looked at all the many different ways that seeds are dispersed and also how a flower is pollinated and how a seed is fertilised so it can reproduce. http://www.bbc.co.uk/education/clips/zfx76sg This clip helped us to understand how this process happens. Our certificate winner this week is Nikyta Robertson for being a super star in English this week. She was so enthusiastic about her writing and worked really hard to produce some excellent adjectives and similes that she could include in her descriptive writing. Well done! Hope you all have a fantastic weekend, see you on Monday!